Pensacola State College is celebrating Black history and heritage with an annual scholarship event at 6:30 p.m., Friday, Feb. 24 at the Jean and Paul Amos Studio, WSRE-TV Building 23, on the Pensacola campus. Nine students will receive scholarships at the African American Memorial Endowment Scholarship (AAMES) Banquet and Dr. Garrett T. Wiggins “Live Your Dream” Scholarship program. The public is invited to join scholarship recipients and community leaders for this evening of entertainment, inspiration, student recognition and dinner. Rooted in Pensacola State’s heritage, the AAMES was established more than 20 years ago by the college’s Black History Committee to honor the memory of Dr. Ellen Lett, a beloved English instructor. Later, the program was expanded to pay tribute to deceased African American employees who believed education opened doors of opportunity and dedicated their lives in service to the college. 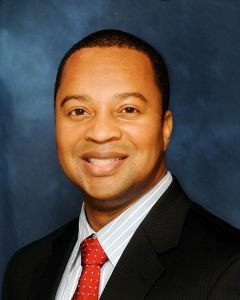 In 2005, the “Live Your Dream” scholarship was established to recognize Dr. Garrett T. Wiggins, the president of Booker T. Washington Junior College, founded in 1949 as Florida’s first Black junior college. In 1965, Washington Junior College merged with then Pensacola Junior College where Dr. Wiggins served as Director of Research until his retirement. Guest speaker is Verdell Hawkins, executive director, Gulf Power Foundation/ Community Relations Manager. Since his recent move to Pensacola, Hawkins has embraced the community, serving on the boards of the Boys and Girls Club of Greater Pensacola, the 100 Black Men of Pensacola, and the Voices of Pensacola Multicultural Center. He also mentors with the Big Brothers Big Sisters organization and is a member of Leadership Pensacola and Zion Hope Primitive Baptist church where he teaches youth classes and sings with the men’s chorus. Tickets for the gala event are $12 each and must be purchased by Feb. 17. For tickets and information, call the PSC Office of Institutional Diversity at 850-484-1759.